Nakia​: I am a native of the DMV. Did I just make up an acronym? LOL. I was born in Washington, DC and have lived in Maryland all my life. Copa: What schools have you attended and what were your majors? Copa: When did you get married? Nakia: This is a topic of discussion that just makes me come ALIVE! YESSSSSSS! 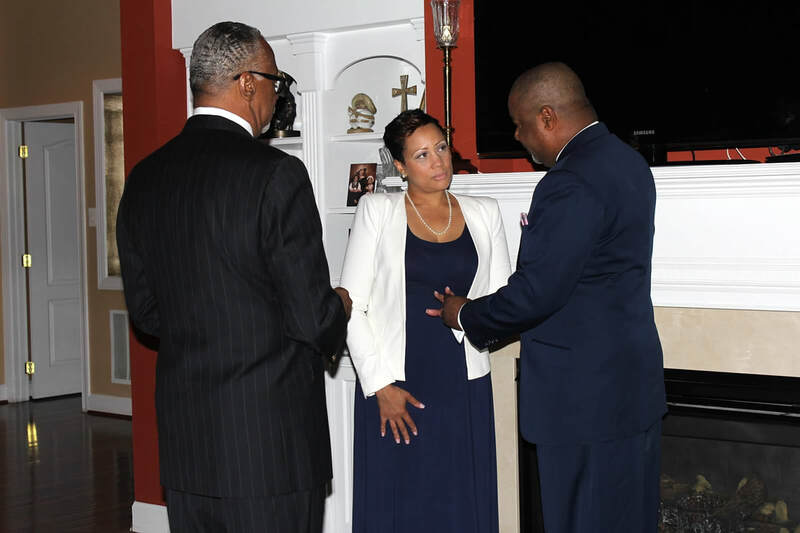 ​My husband, Bishop Donald A. Wright, and I married on September 30, 2013. His birthday. HE SURPRISED ME. I will cherish him forever for making our, I DO’s so precious and SIMPLE. Copa: Did you grow up in the church? ​Nakia: I did not grow up in church. In fact, I am grateful for this. I was saved in my early 30’s…All I know is the love of Christ, the more I know, the simpler it gets. For this I AM GRATEFUL. Copa: Please tell us about your church. ​Nakia: I call my church, MY SAFE PLACE. It’s a place where you learn how to seek the face of God. If you want a true, intimate relationship with the Lord, but have no clue on where to begin, I would say to an unbeliever or a hurting heart, come to where I worship. I may be a tad bit bias, but I believe we have one of the greatest Pastors on the planet. He is a teacher and is committed to the things that are in God’s written Word. If your goal is to simply go to church to mark it off your TO DO list, I will say, our House is not the place for you. But if you want to form a relationship with the Lord, if you know there is more and you want it, this is the place for you. All are welcome, we have services on Sundays at 8:00 and 11:00 a.m. The address is 2912 Ritchie Road, Forestville, MD 20747. Copa: What were your interests early in life? ​Nakia: One of the things I enjoyed most was reading. Which is why, I now do an online Book Club called, The Life of Books. In this age of the Internet it feels as if books are going out of style at an accelerated pace and this is my feeble attempt at keeping something I love alive in the Earth. Reading was, and is... my safe place. I did and still have a passion for fashion. I love what fashion is and what it stands for. I love how loud fashion speaks and the freedom it sometimes offers those who have a life of routine. Fashion breaks barriers and offers loud quiet outbursts. ​I did and still have a passion for fashion. I love what fashion is and what it stands for. I love how loud fashion speaks and the freedom it sometimes offers those who have a life of routine. Fashion breaks barriers and offers loud quiet outbursts. Copa: What are some of the most important activities that you are involved in? ​Nakia: Right now in my life the thing that is most important to me, outside of my family time, which is the ABSOLUTE dearest thing to my heart, is "A Woman’s Voice." "A Woman’s Voice," which I typically shorten to AWV is my passion. Through the strength and power of my husband’s walk a platform was made for me to speak to women. 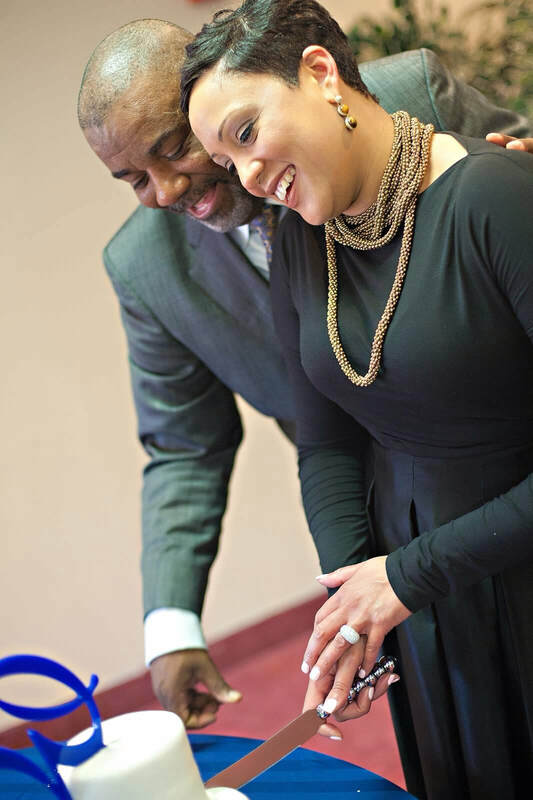 I am thankful to God for the vision and grateful to my husband for the doors that have been opened. AWV just celebrated our 1 year anniversary in April. I am grateful for the Dream Team, who has worked with me since I said YES. Hadassa DuBuche, Charminique Bynum, Tashiea Hodge, Diahann Smith, and Marci Thompson have been GOD SENT. You know its God, because everything we have touched has been a success, TRUST ME WHEN I SAY ITS NO DOING OF OUR OWN. And as each event is planned we become closer and closer. Only God could of made this possible. I am truly grateful. I have a new book coming out this summer. It’s entitled, “Inspired By Love”. A group of dynamic women got together and we told our stories. There is nothing more powerful than your truth. I believe this is going to be a blessing to so many. Follow my social media pages so you can see first hand when the Book Release will be held. Copa: If there is an important message you would wish to share with young men and women what would it be? Nakia: We were all uniquely created. Each one of us have an assignment to carry out in the Earth, that is unlike our brother and sister. Find out what you were called to do in the Earth and do that. BE THE BEST YOU, YOU CAN BE. When you fail to be you and choose to be someone else, there is a void in the Earth. Often times giving up is easy to do, but choose the road less traveled and fight to become who God created you to be. You never know how strong you are until you are pressed to the limit…. discover your strength, so in time, you can help someone else discover theirs. NEVER NEVER NEVER EVER GIVE UP! Copa: What does the future hold for Dr. Lady Nakia Wright? Nakia: Quite honestly I do not know what the future holds. And I think that’s a good thing. If I knew, I would probably mess it all up. LOL. What I do know is, I am allowing God to have his total and complete way, I am going to love my husband with everything in me, I am going to cherish my every moment with my babies, and look forward to creating memories with my grandchild who will be born in November.